A new study of City of Culture celebrations in Hull has laid bare what Perth stands to gain from a successful 2021 campaign. The Humberside town beat Dundee in the battle to become the UK’s second City of Culture. It launched its year-long programme of events and exhibitions with a massive street party in January. In the final part of The Courier’s week-long series exploring Perth’s fight for the 2021 title, we look at the exhaustive study carried out by the University of Hull, examining the economic and social impact from the first few months of the city’s tenure in the spotlight. It shows that nine out of 10 residents attended or experienced at least one cultural event in the first quarter, more than double the number engaging in such activities before the bid. Events during the Made in Hull season received more than 1.4 million visits, with the season being the first of four three-month long phases, made up of more than 450 events and activities. The opening ceremony alone brought in 342,000 people, while an installation by artist Nayan Kulkarni attracted more than 420,000 between January and March. The university study goes on to show there were half a million visits to the city’s museums and galleries in the first four months of the year, with some venues boasting year-on-year increases of over 500%. The findings go on to highlight a major boost to the economy, with hotel occupancy up by 13.8% over the first three months. More than half of city centre businesses have also reported a positive impact on sales, footfall and the diversification of consumers. Meanwhile, some 37% of businesses said they saw a surge in turnover, while nearly a third saw an increase in profits compared to last year. A poll found that seven out of 10 Hull residents said the City of Culture was having a positive effect on their lives, largely because of opportunities made available to volunteer and participate at events across the city. Martin Green, the director of Hull 2017, said: “It almost goes without saying that this year has been quite a ride already. What’s been bringing the crowds to Hull? Hull’s line-up began with a massive fireworks display, designed by the team responsible for spectacular pyrotechnics at the 2012 Olympics. The opening Made In Hull season was put together by acclaimed documentary filmmaker Sean McAllister. It featured huge projections on landmark buildings, live performances and soundscapes. Later in the year, Opera North transformed the Humber Bridge into an “epic musical installation”, with sounds that change depending on your route and the climate. Holy Holy, the band made up of Hull’s own Spiders From Mars drummer Woody Woodmansey, David Bowie producer Tony Visconti and Heaven 17’s Glenn Gregory performed The Rise and Fall of Ziggy Stardust and The Spiders from Mars live for the first time. US singer-songwriter John Grant curated a mini-festival of nordic music. 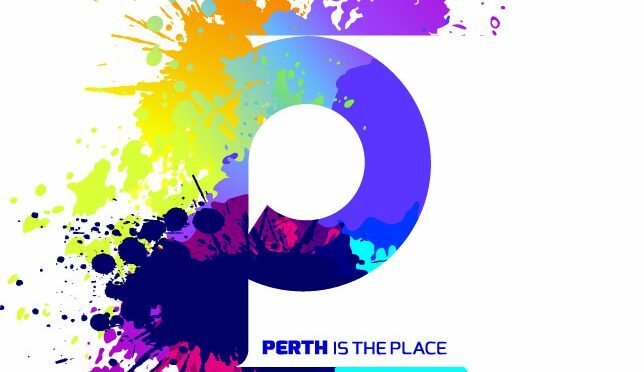 The local 2021 campaign makes much of the fact that Perth is both Scotland’s oldest and newest city. Perth is often described as the country’s ancient capital, given it has been a Royal burgh since the 13th Century and was a royal residence throughout the Middle Ages. Famously, Scone Palace was the historic coronation site for Scottish monarchs. And Perth also boasts the scene of the reformation in 1559, with a sermon by John Knox at St John’s Kirk. But the region’s rich heritage has been something of an obstacle for the team behind the Perth 2021 campaign. Bid leader Fiona Robertson explained: “One of the things that struck me when I first came to work here was that there was a sense that the city’s heritage was really defining the identity of the city. Ms Robertson, who was previously involved in cultural regeneration projects at seaside towns on the south coast of England, said: “People talk about Perth having its glories in the past. People say, we have a really thriving contemporary art scene here, but no one seems to recognise that. She said: “My feeling was, why can’t this be a city which tells both those stories. She said that Perth pioneers like town planner Patrick Geddes, artist John Duncan Ferguson and poet William Soutar were hugely influential across the globe. “We wanted to shift the balance,” said Ms Robertson. “Most people know that Perth is a medieval city and pretty much everyone knows that the kings of Scotland were crowned at Scone. Perth will learn if its has made the shortlist next month. A winner will be announced at a ceremony in Hull towards the end of the year.